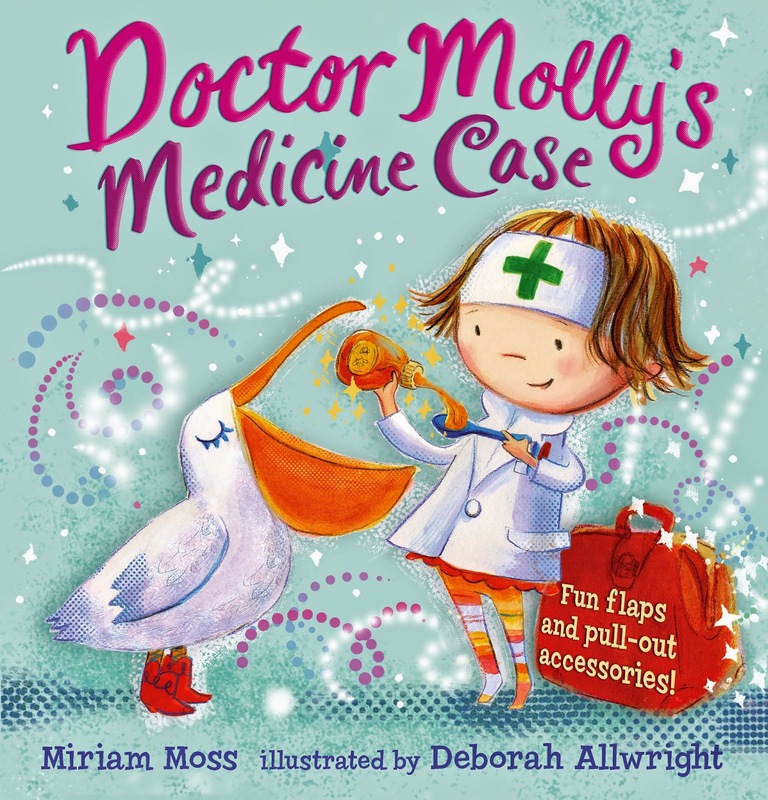 Today on Picture Book Party we welcome Miriam Moss and Deborah Allwright, writer and illustrator of our new novelty picture book, Doctor Molly’s Medicine Case. Read this exclusive guest blog post to hear about how Miriam and Deborah collaborated on their book. 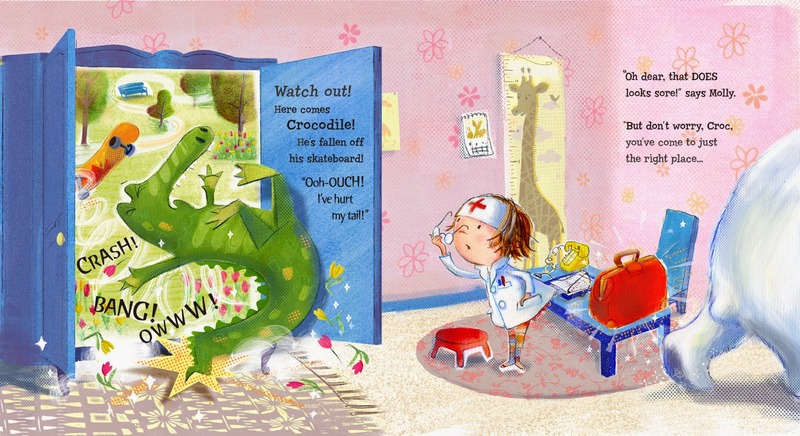 Something I’d always wanted to write about was how fascinated young children are by bumps and bruises, cuts and grazes. I knew how much children love making others feel better when they’re hurt or down in the dumps, so in my story I wanted the child to be the doctor, to be the one in charge. That’s why I gave my Doctor Molly the most magical of all medicine cases with absolutely everything in it that could possible make anyone better. 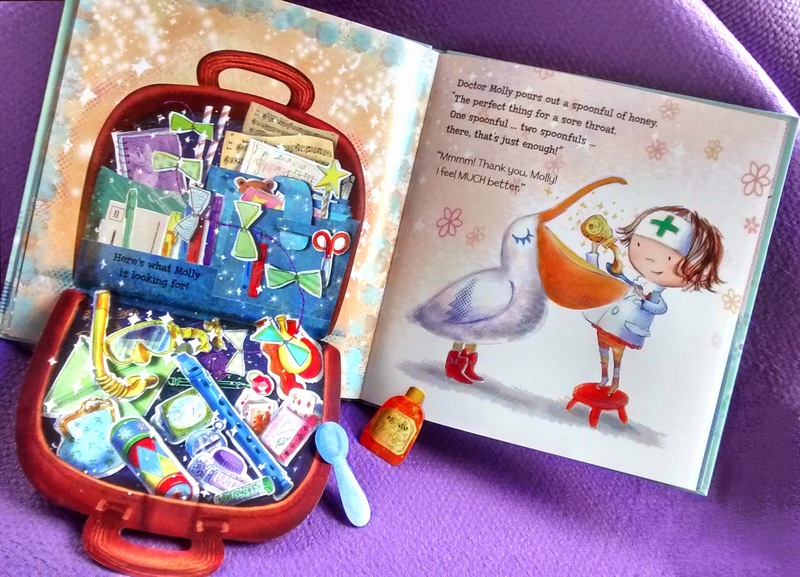 And I imagined all the things we might be able to include in the book for the children to play with: soothing cream, medicine and spoons, plasters and bandages, a thermometer! To begin with I wrote a rhyming story where Molly was run off her feet looking after her family, but then I felt that the story needed to be younger and less complicated, so an even younger Molly arrived, playing in her bedroom with her toys – but still, of course, entirely in charge! 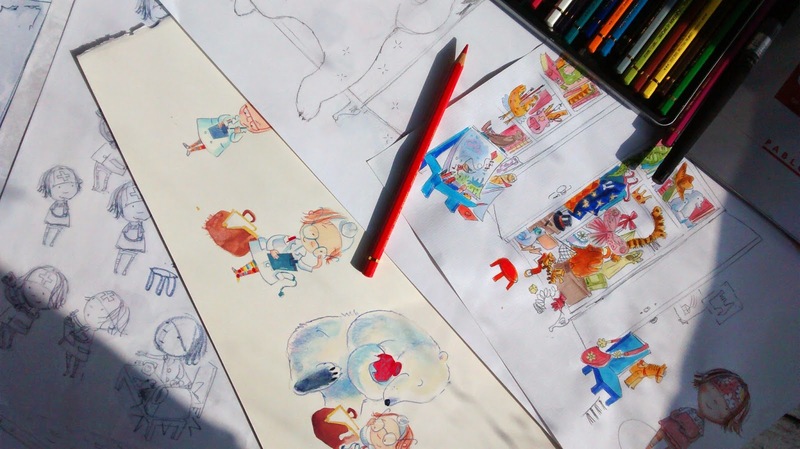 For her toys, I experimented with a clown and a fairy, an antelope, a camel, an elephant…. 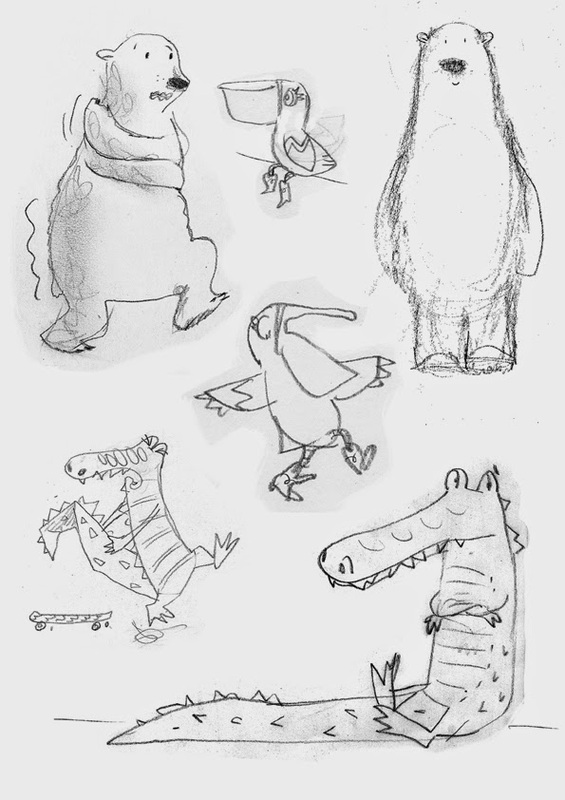 But it wasn't until I saw Deborah’s sample sketches that I knew exactly which ones I wanted to use: a pelican wearing cowboy boots, a crazy green crocodile…. 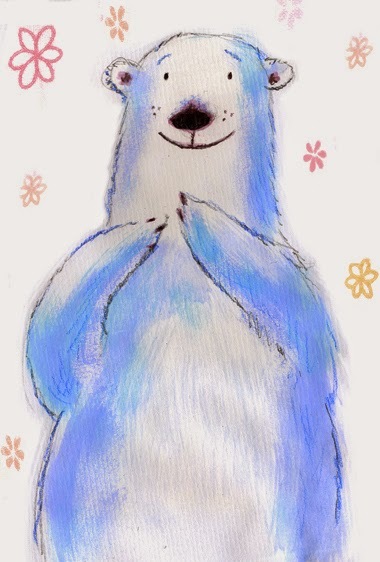 and a huge gentle polar bear! I had sketched a menagerie of toys inspired by Miriam’s story, Deborah says. Many were animal characters that sneaked in from my own childhood, like home made ones sewn from patterned fabrics that wore little knitted scarves - and Miriam was quick to decide on which ones worked for her. These toys take on action packed lives in Molly’s imagination and we both really liked the size differences when each makes their appearance in the story. Our main character, Molly, makes her transformation when she dresses up, and on the turn of a page flap becomes Doctor Molly! She was fun to draw though I did go through many other Mollys before settling on this character with her distinctive hair band, white coat - and her most important accessory - the Doctor’s Case. And this was the best part. From this moment we felt that Doctor Molly really was in charge; that all the children would really want to see what was inside that bag! And the genius use of flaps, reveal the contents - which truly is like magic! We wanted each opening of the case to show new and exciting contents, different and wondrous each time. 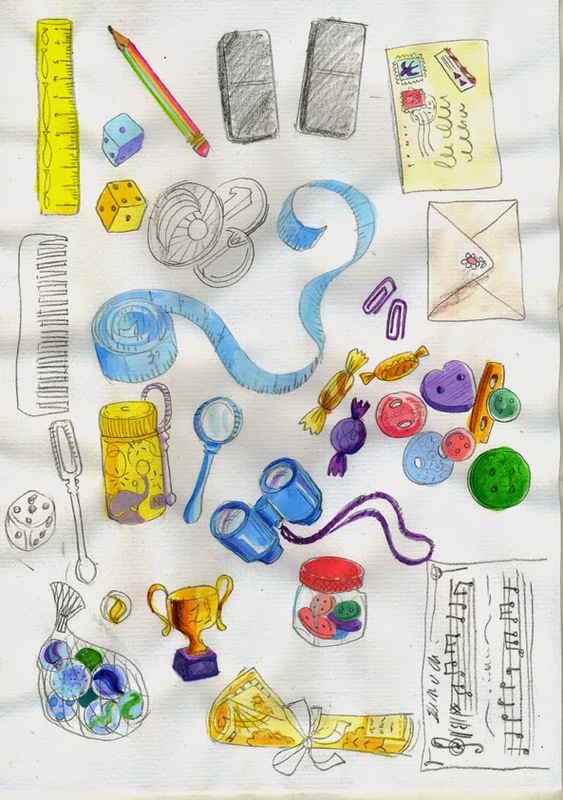 So we came up with lists of fun things that you might hope to find: pretty marbles, binoculars, balloons and secret maps. The interior also has painted pockets and sleeves stuffed with notebooks and coloured pencils. Somewhere in each case is the cure Doctor Molly seeks to sooth her animal patient. There was an enormous amount to think about to get the artwork of the doctor’s case to sit next to the facing page of Doctor Molly caring for her animals. I used a soft painted palette in water colour for the characters with coloured pencil line and the doctor’s case has a darker contrast to give depth, it could be described as decoupage as the items layer one over the other. You want to pick them up! For each animal there’s a reason why they need Doctor Molly’s help. My favourite is the crazy Croc skateboarding wildly and crumpling his tail. That used to happen to me on my roller skates! 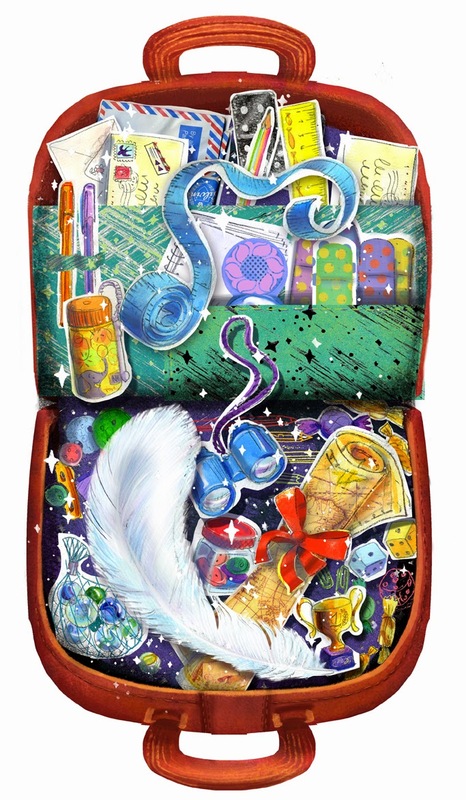 Both of us wish we had a magical medicine case - just like Dr. Molly’s! Thank you, Miriam and Deborah, for visiting the blog! You can pick up a copy of Doctor Molly’s Medicine Case at your local bookseller.